Combining the knowledge of expert construction professionals, UDA Estimating Templates include a complete library of construction estimating spreadsheets for builders, owners and contractors. Designed for residential and light commercial construction, and backed by an industry leader, these estimates include labor, materials, permits, insurance, clean-up, and over 1000 flexible categories. 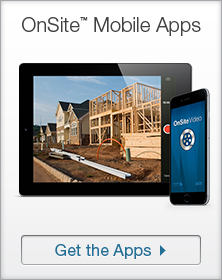 UDA Excel Estimating Templates produce quick and accurate estimates for Residential and Light Commercial construction. Featuring both Summary and Detailed Estimating tools preprogrammed with national average construction costs, UDA Excel Estimating Templates are designed to get you started quickly and simply. If you are like most of us, you don't have weeks to learn new estimating software. 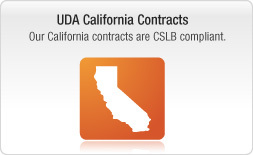 UDA Estimating Templates are designed to quickly and accurately produce detailed cost estimates suitable for preliminary budgeting, project quotes, or obtaining construction loans. And because UDA Estimating Templates work seamlessly with Microsoft Excel and other leading spreadsheet applications, you can immediately enjoy its powerful capabilities. Download and Get Started Today - No New Programs to Learn. 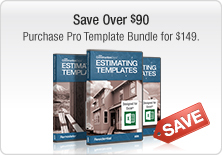 Get started today by downloading Construction Estimating Templates immediately. Open in Microsoft Excel or your favorite spreadsheet application. No new programs to learn. 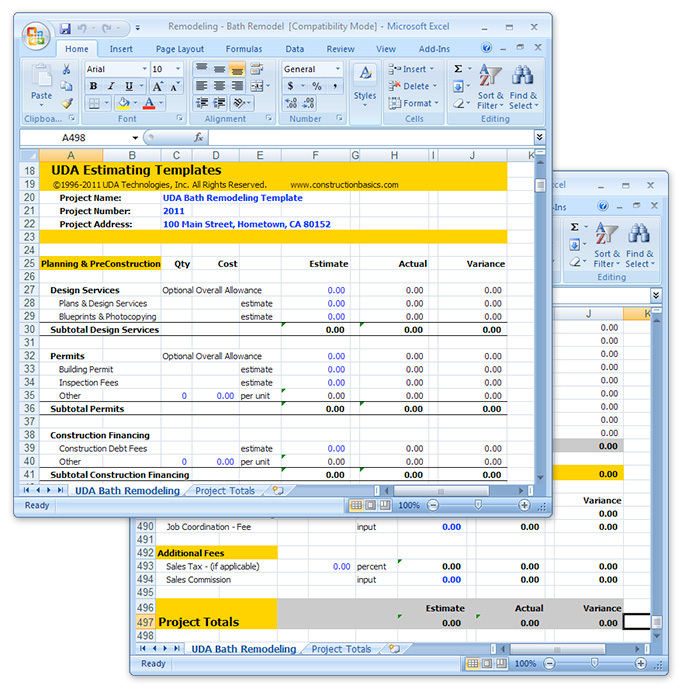 Customize your Estimate, enter multipliers, costs, budgets and allowances, save and print. With over 15 sample projects preprogrammed with national average construction costs, you can dramatically reduce your estimating time with baseline cost figures for a variety of project types. Summary estimating tools are popular for quickly calculating preliminary estimates from schematic plans or preparing a project quote and include over 150 estimating categories and multipliers that can easily be modified or expanded to meet you specific needs. Detailed estimating tools allow for individual unit cost data and include over 1000 flexible categories for estimating from final plans or materials lists. UDA Excel templates are fully compatible with Microsoft Office, Windows and Mac in addition to most other spreadsheet applications. Templates are preprogrammed with updated national average construction costs for over 150 estimating categories. Expanded categories, items and multipliers provide a comprehensive framework for estimating residential, renovation or light commercial projects. 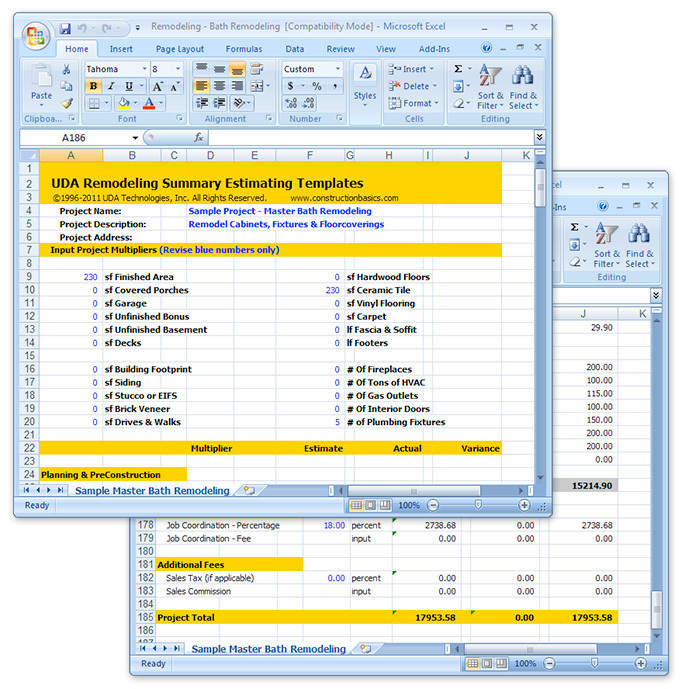 UDA Estimating Templates are fully editable spreadsheet templates for Microsoft Excel that can easily be customized to meet your specific project. Additionally, by not limiting the number of times a UDA Estimating Template can be used or printed, these templates can grow and change with your business for years to come, providing the essential components neccessary for successful project management. Accelerate your business. 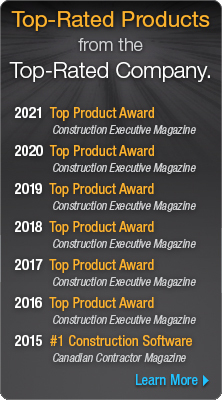 Discover the powerful, integrated ConstructionSuite system, and take control of project management with advanced construction Estimating software, critical-path Scheduling, dynamic QuickBooks Integration, and a comprehensive library of detailed Contracts and Specifications. Not all products include every feature described above. 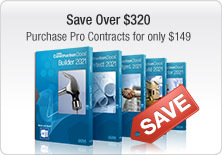 Refer to the Compare Versions page to view a comprehensive list of features included in each product. 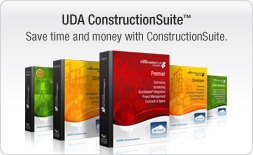 Microsoft Office, Microsoft Project, and QuickBooks are not included with UDA Construction Contract Templates or ConstructionSuite. ConstructionSuite and ConstructionNet are trademarks of UDA Technologies, Inc. RS Means, RSMeans, and MeansData™ Costbooks are trademarks of Reed Construction Data.